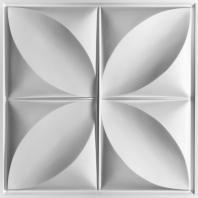 Our Petal Ceiling Tiles shine in this clean and modern space. The tiles worked out great. I will be designing for two more clients' offices and will be in touch soon for additional orders.